Access rights with respect to IP adresses or domain names may be specified, granting or denying access from specific locations. 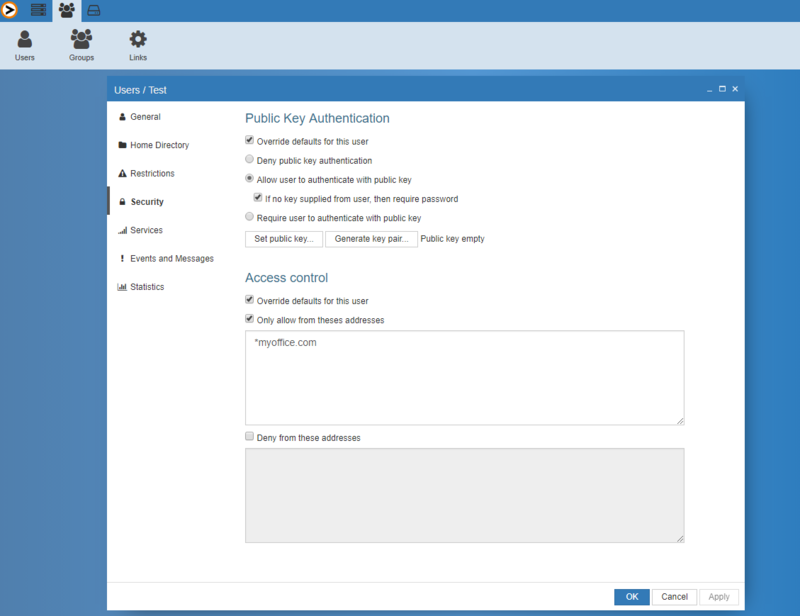 To access the Security settings you need to login on the web based Admin interface with an account that has Admin privileges. Then in the top menu you click on the user tab at top left. Click on Users and the user then choose Security at the menu on the left side.